Polyethylene is stiffer than other materials which makes installation more difficult in backyard water gardens. When purchasing backyard pond liner for smaller backyard ponds, we recommend EPDM Pond Liners. Large ponds require a pond liner that is safe for fish and plant life, inexpensive, easy to install, and durable enough to last twenty years or more. Polyethylene pond liners are the ideal pond liner material for these applications. 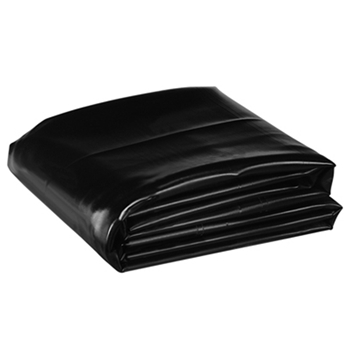 Polyethylene Pond Liners are extremely UV stable and are able to withstand temperatures from 180°F to -70°F. Polyethylene Pond Liners are backed by a twenty-year warranty.